"Italics." There are more than 250 million people around the world who belong to a community that began with Italy. Many of them don’t speak Italian, don’t live in Italy, and perhaps haven’t even been there. Despite this, they feel as if Italy is a part of their being. This “Italian” identity outside of Italy began thanks to emigration, but it has since developed into something more. 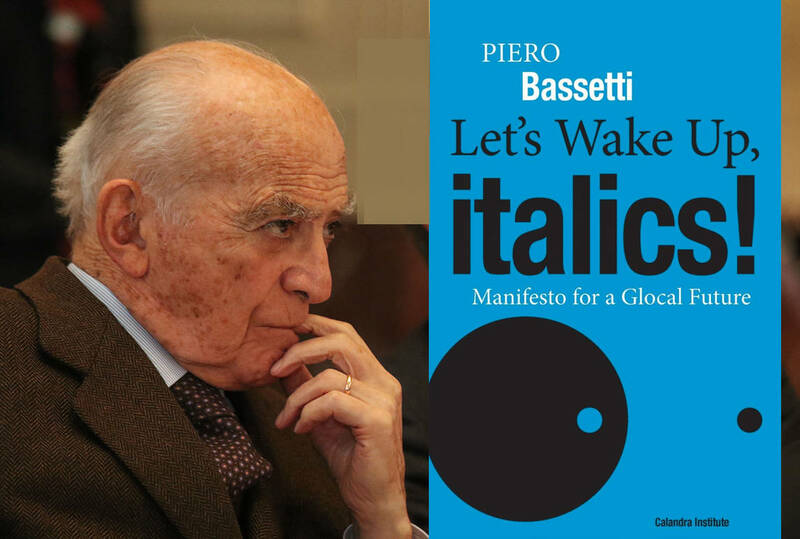 Piero Bassetti—a renowned entrepreneur, politician, and public intellectual—defines this feeling as “Italicity.” Bassetti presented his new book and manifesto, "Let’s Wake Up Italics!" at the Consulate General of Italy in New York. 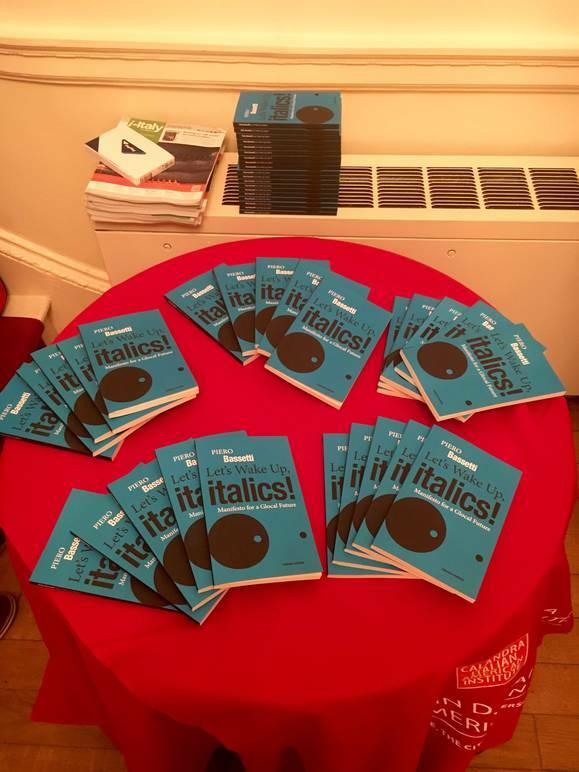 An interesting presentation of Piero Bassetti’s book Let’s Wake Up, Italics! 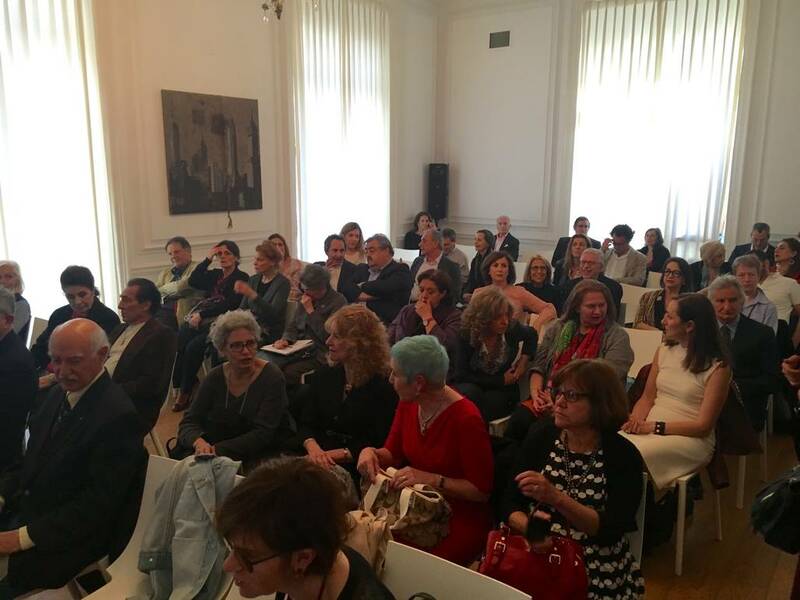 Manifesto for a Glocal Future took place on June 8th at the Consulate General of Italy on Park Avenue. 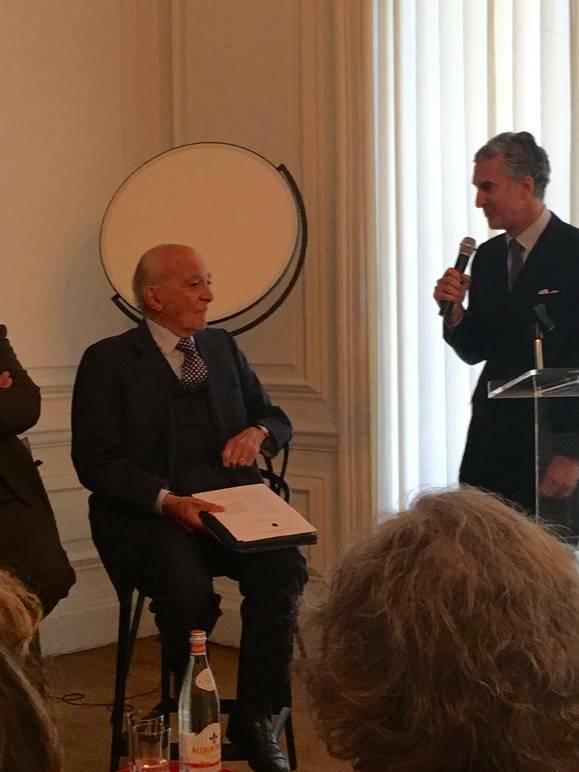 Bassetti was presented and saluted by the Consul General Francesco Genuardi. 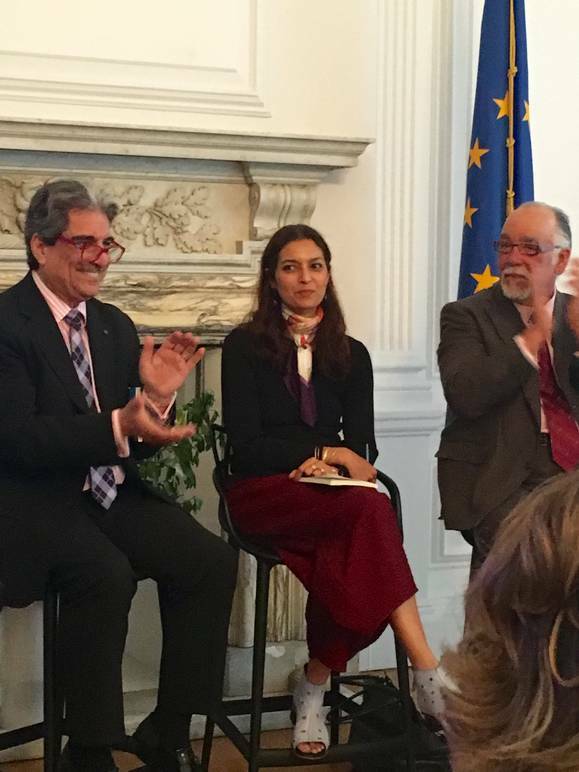 Panelists included some bright examples of what the author calls "Italici," such as Fred Gardaphe, Distinguished Professor of English and Italian American Studies at the John D. Calandra Italian American Institute, who curated the preface of Bassetti’s book and Jhumpa Lahiri. The American author from Indian origins, Pulitzer prize winner, fell in love with the Italian language, a love that brought her to write her first book in Italian, In Other Words - In Altre Parole, deeply immersing herself in Italian culture. 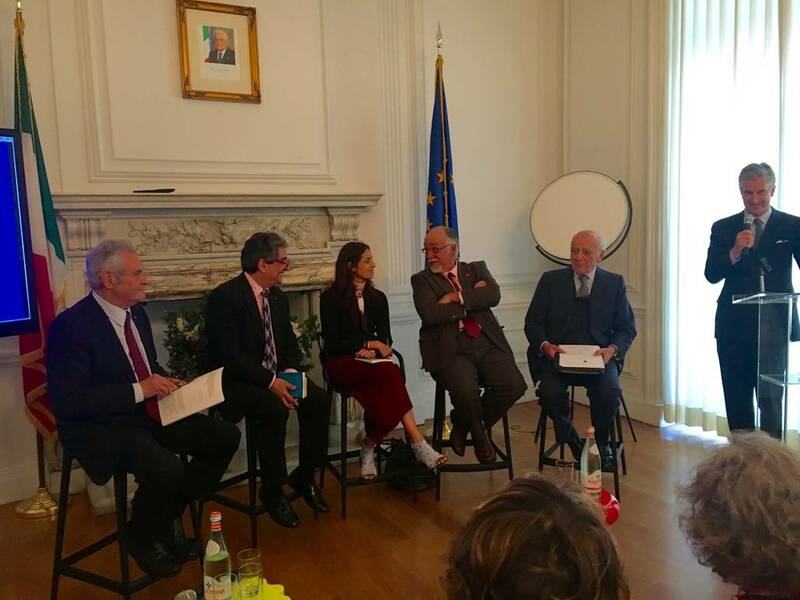 She also was nominated Cavaliere OMRI of the Italian Republic with a celebration held at the Consulate on June 2th - Festa della Repubblica Italiana. Also in attendance were Professor Anthony Julian Tamburri, Dean of the John D. Calandra Italian American Institute and editor of the book, and Rodrigo Rodriquez, moderator of the event, Chairman of the Material Connexion Italian and partner with Bassetti in the promotion of the Schola Italica, a school recently opened in Monza, Italia. Piero Bassetti took the stage giving the audience a riveting introductory speech on his book and his thesis on the idea of Italici, a thesis that he has been trying to spread around the world for 20 years. The presentation was supported by some dynamic slides, because as Bassetti says, the internet and the virtual world are fundamental and have to be taken into great consideration if we want to talk about identity, national belonging and globalization today. What is an Italico and how does he differ from an Italian? That’s the main question of the essay. Italici do encapsulate the concept of being Italian but in a wider cosmopolitan sense. Italici are not just Italians living in Italy but also the ones living in America, Australia, Canton Ticino, San Marino. 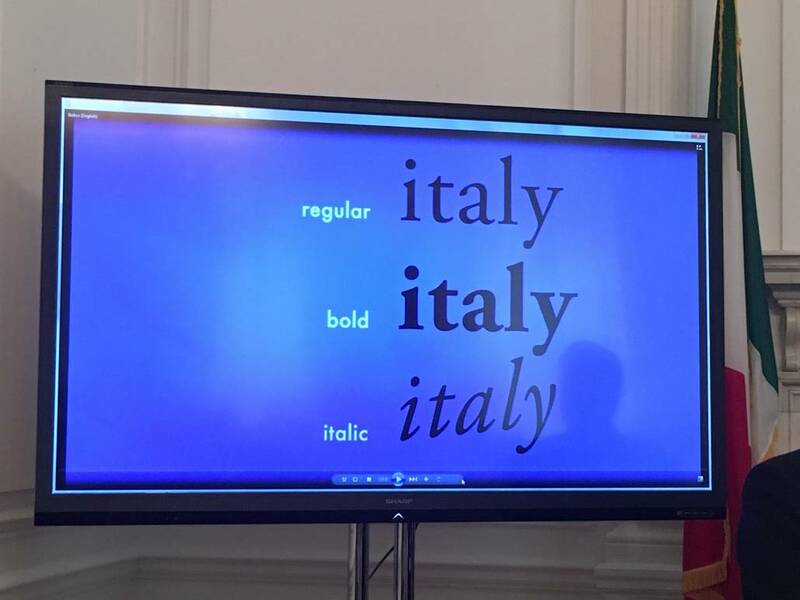 Being an Italic doesn’t necessarily mean being born in Italy, but carrying within and embodying the Italian culture. In this sense, the Italic community is spread worldwide and can be counted in 250 millions. This new intellectual elite is developed by Bassetti and Rodriquez in concrete terms with the Schola Italica project. The Schola Italica mission is to create a movement, a network and a new International Italic ruling class, based on a thorough knowledge of the culture and identity Made by Italics. The Schola will start as a school, with a Master program scheduled to open in 2018, with the final goal of becoming an association. Bassetti’s Globus and Locus Foundation is one of the sublects that will sponsor the school. Jhumpa Lahiri, who said that in Bassetti’s book she recognized herself and her Italian identity, had some insightful thoughts on the subject. She talked about the great fortune that has been granted to her to be a real citizen of the world; she holds four different passports, which makes her freely mobile in the glocal world, not restrained by political borders. But she is an exception, and a lot is still to be done in order to turn Bassetti’s thinking into reality, to gain every Italic the opportunity to truly receive the rights that consolidate their Italian identity and citizenship. That’s a crucial aspect that still needs to be resolved if we want to really think of a global world in political terms too. This latter poit was caught by Fred Gardaphe and Anthony Tamburri. Gardaphe, praising Bassetti's wide global vision, focused on the importance of the concept of Italici as an invitation "to move away from the myths created by monolithic national identities and toward the glocal interactions that enable us to make the world great together" (for more on Fred Gardaphe's thoughts on the subject click here). Anthony Tamburri focused on "the very sense of ecumenical universality" that sets Bassetti’s notion of Italicity "apart from most other concepts of identity that we have seen in the past." Bassetti, in other words, brings "Italian” identity to the fore with an originality and open-mindedness "that has often been lacking in the past." Tamburri aptly concluded that this book, by trying to bridge the identity gap between "Italians" and "Italici," also tends to overcome the political boundaries between States. Piero Bassetti's "Lezioni italiche". Send Us Your Questions!